Finta Studio | We specialize in the realization of original animated films. Nighthawk is selected for Short of the Week! 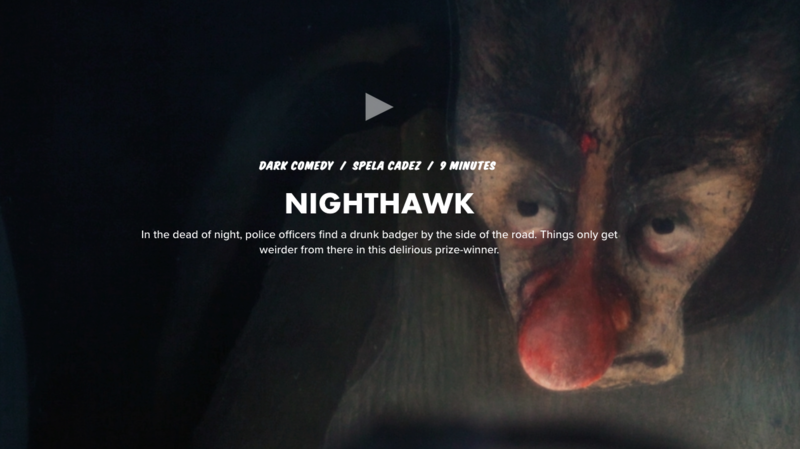 Nighthawk is online as Vimeo Staff pick! Our director Špela Čadež invited to become a member of the American Academy of Motion Picture Arts and Sciences! Two shiny awards for OINTB – Unraveled at The Drum Creative Awards 2017! TWO of the UK Drum Creative AWARDS went to our Orange is the New Black – Unraveled project including the prestigious Chairman’s award! 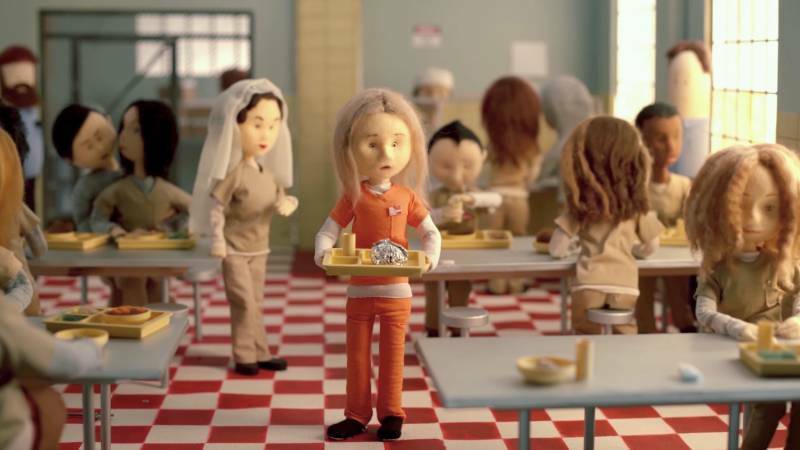 On why she chose the animation for the prestiguos award, chairperson, Caitlin Ryan, group executive creative director at Cheil Worldwide, said: “The piece of work I kept thinking about was The Smalls/Pinwheel Animation for Orange is the New Black. It is beautifully crafted – but better than that – it shows how with creativity you can take a story line and reimagine in for a new format. After three prizes in September, we are talking about four October awards: from StopTrik, Bucheon, Wiesbaden, and ASIFA Croatia! We could get used to good news like these. This autumn Špela Čadež’s Nighthawk is really unstoppable in the international festival circuit. The film’s universal story, Špela’s masterful experiments with the narrative and her ability to create plausible characters are surely responsible for film’s great success. But let’s start from the beginning. First week in October was about StopTrik International Film Festival (5 – 8 October) where the story about a drunken badger won Special Jury Mention from Nancy Denney-Phelps. The festival takes place in two cities, first in Slovenian Maribor, and then in Polish city of Lodz. 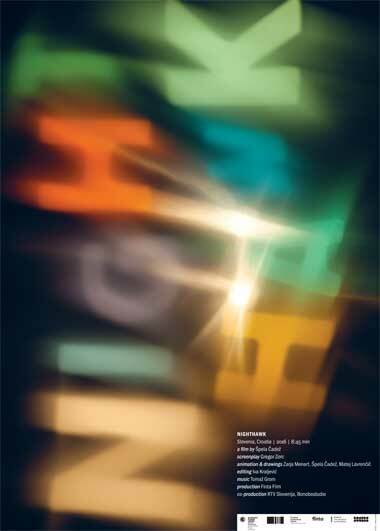 Next award is no less than a Grand Prix from Bucheon International Animation Festival in South Korea (20 – 24 October). This grand festival features many different competition programs – features, graduation, online, etc. Wiesbaden International Weekend of Animation or Filme im Schloss, Films in the Castle (26 – 29 October) was a huge success for Nighthawk, which won the Prize of the Cultural Office of the State Capital of Wiesbaden. It is granted since 2001, and laureates include the most amazing authors, studios and schools: Peter Lord, Georges Schwitzgebel, Koji Yamamura, Supinfocom, Folimage etc. There is not much to add to this masters’ list but we will mention that Špela Čadež is the first female director to win this award in 16 years. Last but not the least: ASIFA Croatia presented the award for the Most Successful Croatian Film in 2016 to Nighthawk at the World Animation Day (28 – 29 October) in Kino Tuškanac in Zagreb. The film has now won 23 awards in total! Film by Špela Čadež is the Best Animated Short Film in Imaginaria’s International Competition Program. Animated Film Festival Imaginaria (August 22 – 26) has been taking place for 15 years in the beautiful historical city Conversano in Italy. The Festival usually features strong international competition and interesting guests. 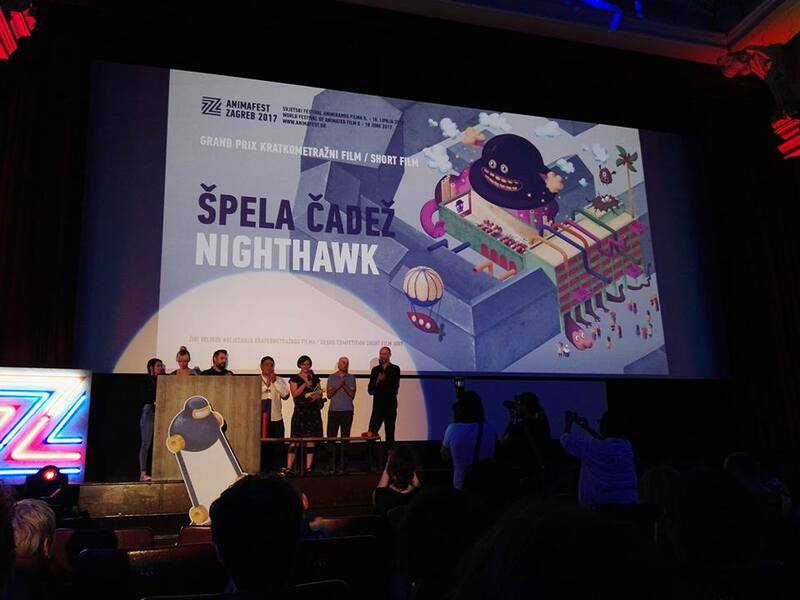 This year’s “power jury” featured Regina Pessoa, Giannalberto Bendazzi and Andrea Martignoni, and we are proud that they have granted one of the main festival awards – Best Animated Short Film – to Špela Čadež’s Nighthawk. Grand Prix at Animafest Zagreb! Animated week in Croatia was a good one for Nighthawk! Nighthawk also won the Best Editing Award at the Croatian Revue Kratki na brzinu. HAFF (March 22 – 26) is one of the most interesting film festivals of animated film today, so a Grand Prix for Nighthawk really means a lot. Jury members in the Short Competition program at HAFF are indeed animation “big shots”, Michael Dudok de Wit, Igor Kovalyov and Takeshi Nagata. Here’s what they said about Nighthawk: “The intense atmosphere immediately pulled us deeply into this film. We found the story very interesting and the main character was incredibly alive.” Nighthawk was as well nominated for the MovieZone Award by a jung jury. Nighthawk is, so far, a great success at the international festival scene. In the first seven months it won nine awards, three in the last few weeks: special mentions at DOK Leipzig and Animateka, together with an audience award at Animateka, and Best Narrative Film Award at GLAS Animation Festival. Speaking of numbers, in the next three months Nighthawk will compete at 11 festivals, among others at the grand festivals such as Annecy, Animafest Zagreb, and Vienna Shorts. Sundance and Clermont Ferrand – here we come! Špela Čadež’s Nighthawk will be competing at the beginning of next year at two prestigious film festivals. We are very very happy that we’ll start 2017 touring few fantastic short – OK, and feature – film festivals. First station: Park City, January 19 – 29. That can mean only one thing – Nighthawk has been selected for the short competition program at Sundance Film Festival! Right after Sundance we are off to Clermont-Ferrand, the biggest short film festival in the world. February 3 – 11 Nighthawk will be featured in the international competition program. 7898 films applied and we are grateful that our film will find its way to Clermont’s large multinational audience. The film won four awards since its premiere in September, notably a Special Mention at DOK Leipzig and Silver Award at Etiuda & Anima. So far, it has been selected at 14 international film festivals. Here you can find the list of all awarded films. Very special Jury Price from Animadreams! Nighthawk just won a crazy silver award at the Etiuda & Anima Festival. Špela Čadež’s Nighthawk flies back from Krakow with a Silver Jabberwocky, an award granted by a true power-jury: Georges Schwizgebel, Andreas Hykade, Andrzej Klimowski, Anita Killi and Nancy Denney-Phelps. We like their explanation very much: “This is like a different kind of road movie. The film is well animated and uses a complex multi plan technique. This film deals with an important topic that is often difficult to talk about in an original way.” The 2016 awards from the International Film Festival Etiuda & Anima (November 22 – 27) are listed here, and we will add that the Golden Jabberwocky went to Igor Kovalyov’s Before Love. Also, if you were wondering, Jabberwocky is a name of the nonsense poem by Lewis Caroll from Through the Looking-Glass. Nighthawk won three awards in the past month: at DOK Leipzig, Animated Dreams and Etiuda & Anima. Špela Čadež’s film – co-produced by Finta Film, RTV Slovenia and Bonobostudio – won an Honorary Mention!We are very happy to inform you that Nighthawk just won an Honorary Mention at DOK Leipzig Festival. Jury explained their choice and complemented “a fresh and visually imaginative take on a true story about a drunk badger”. 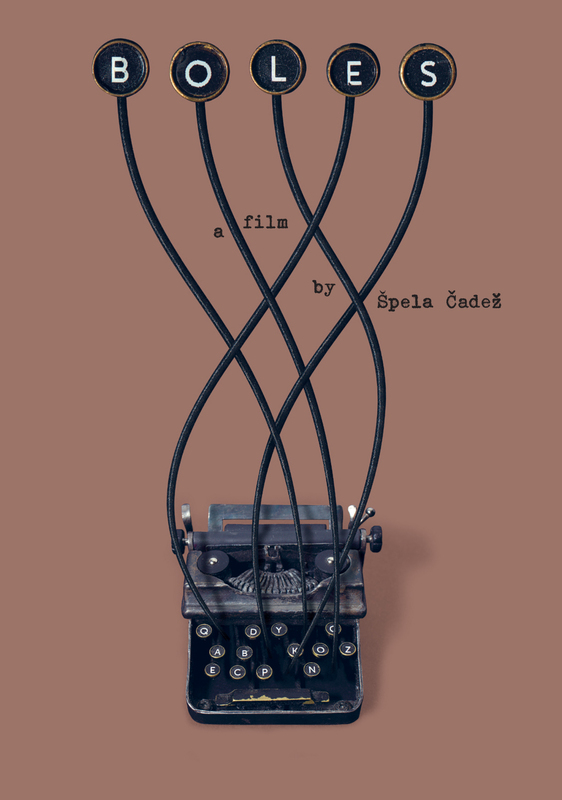 It is Špela’s second professional film, first after her widely popular Boles, and since its international premiere in September it was featured in 9 competition programs – among others at the Ottawa International Animation Festival – and won two awards: for the Best Film at the Festival of Slovenian Film and Honorary Mention at DOK Leipzig.The International Leipzig Festival for Documentary and Animated Film is the largest German and one of the leading international festivals for artistic documentary and animated film. It is also one of the world oldest festivals, founded in 1955 and celebrating this year 59 years of existence.